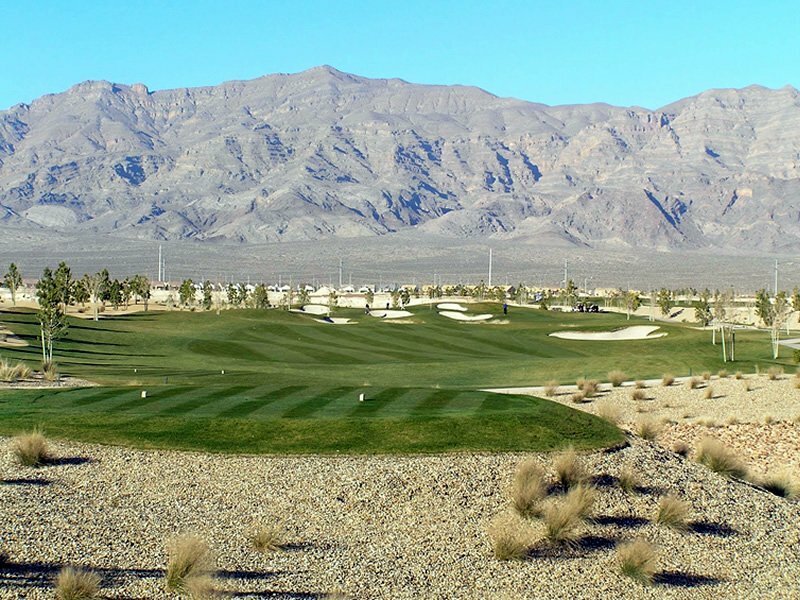 Distance from Strip: 20 – 25 Min. 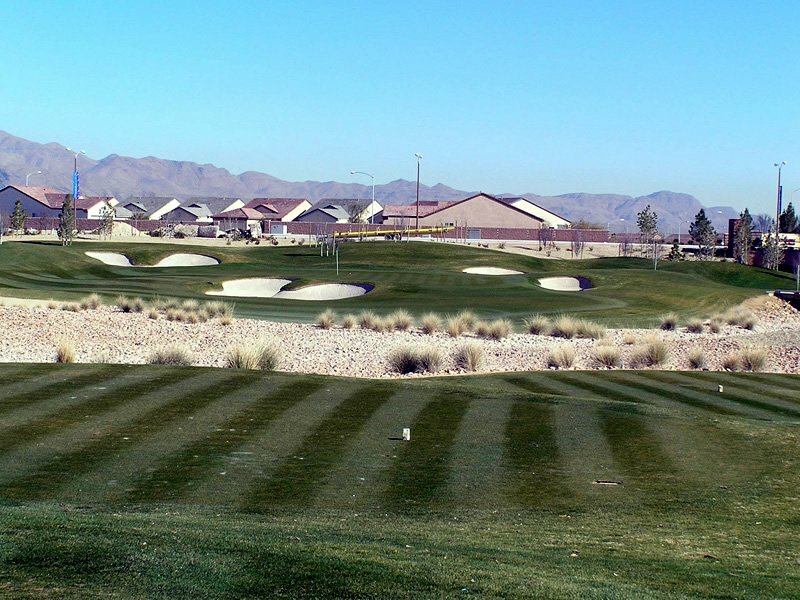 In December of 2003, North Las Vegas witnessed the opening of a master planned community centered around a fantastic new golf course. 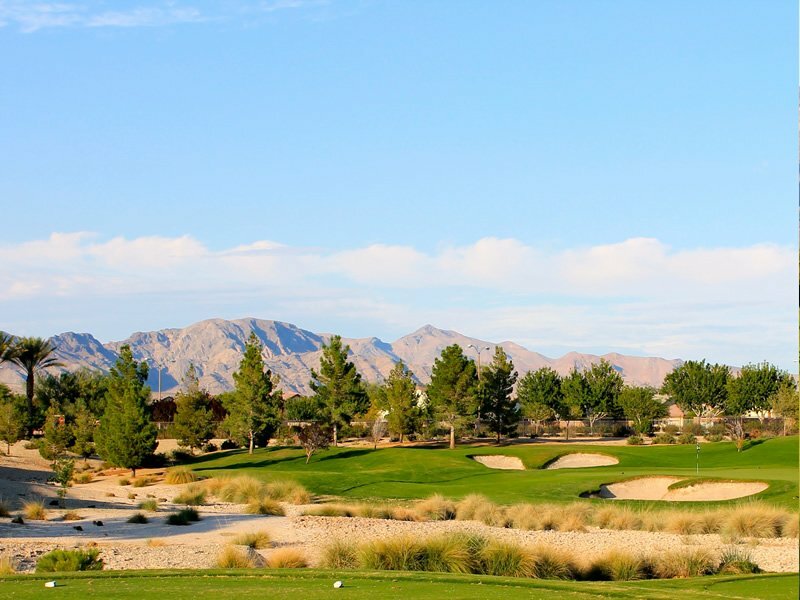 Aliante Golf Club was essential for this rapidly growing part of Las Vegas to help attract residents and visitors to the area. 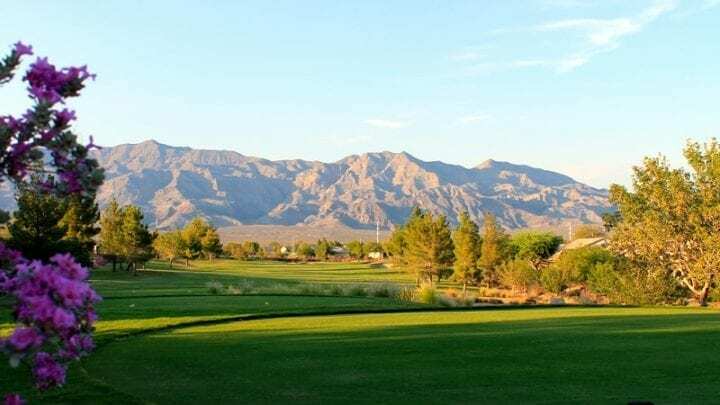 Aliante (Italian for Soaring) is an exciting and challenging tournament-caliber course that stretches more than 7,000 yards from the back tees and is a par 72 facility. 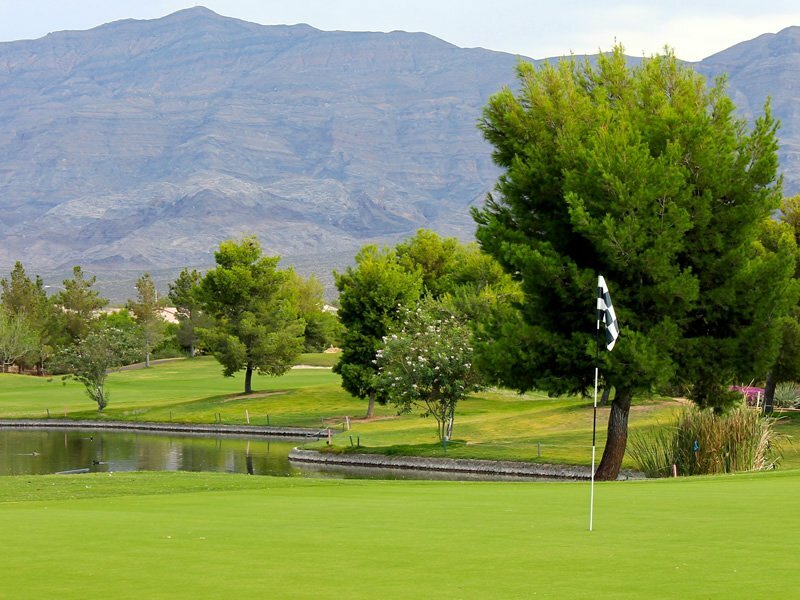 The presence of the meandering arroyos come into play on 14 of its 18 holes and causes the golfer to feel slightly elevated, providing interesting contours, and unique playing lies and angles. 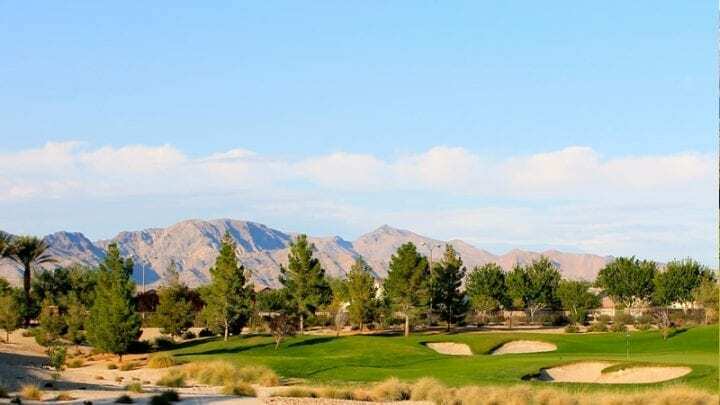 The course is highlighted by numerous water features, generous landing areas, and strategic use of Pear and Purple Locust trees not commonly found on most desert courses. 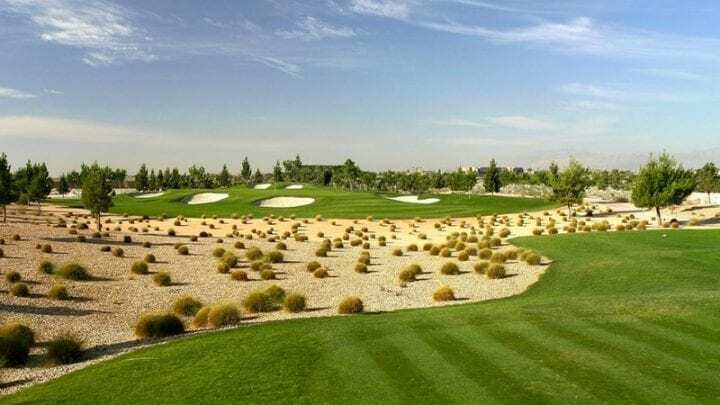 With yardage markers found everywhere from tee to green, and even in the rough, finding your exact yardage is never a daunting task. 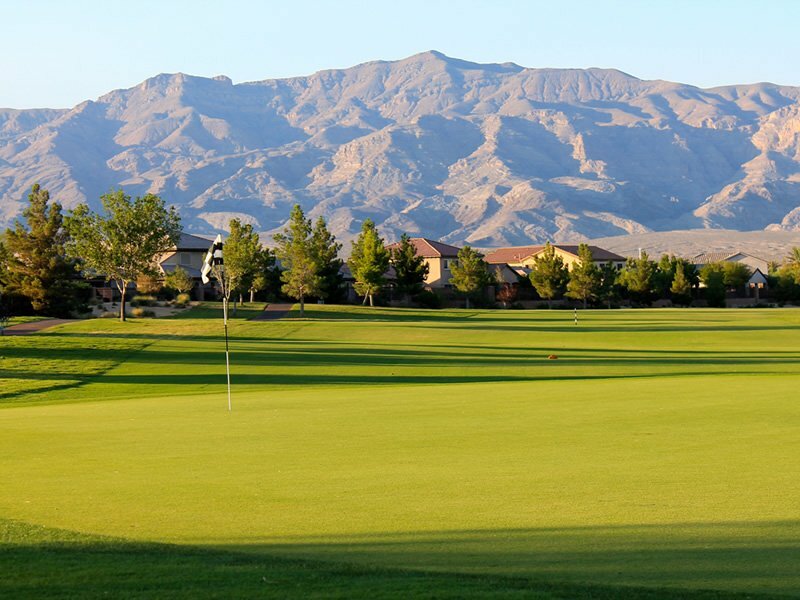 The course also resets its flag sticks daily to a one, two, or three pin placement, and a handy guide is located in the front of the cart to really dial in your distance. 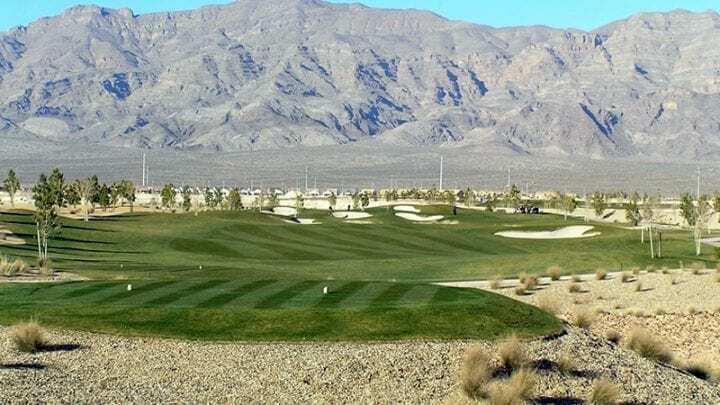 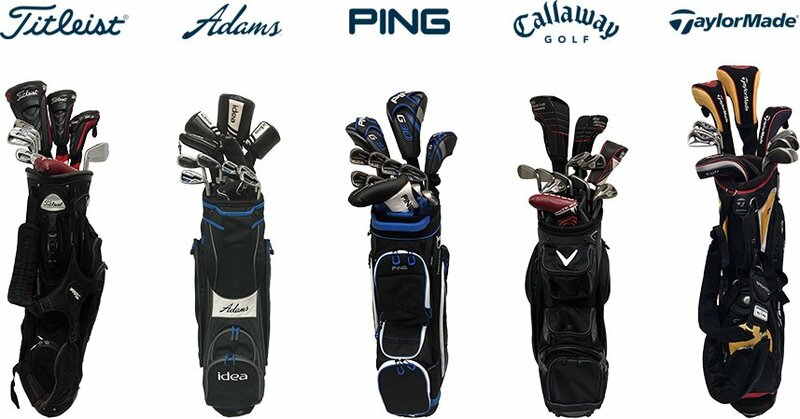 True to his design philosophy, Gary Panks has once again fashioned a golf course that will challenge the expert to utilize every club in the bag while providing an enjoyable experience for the novice golfer. 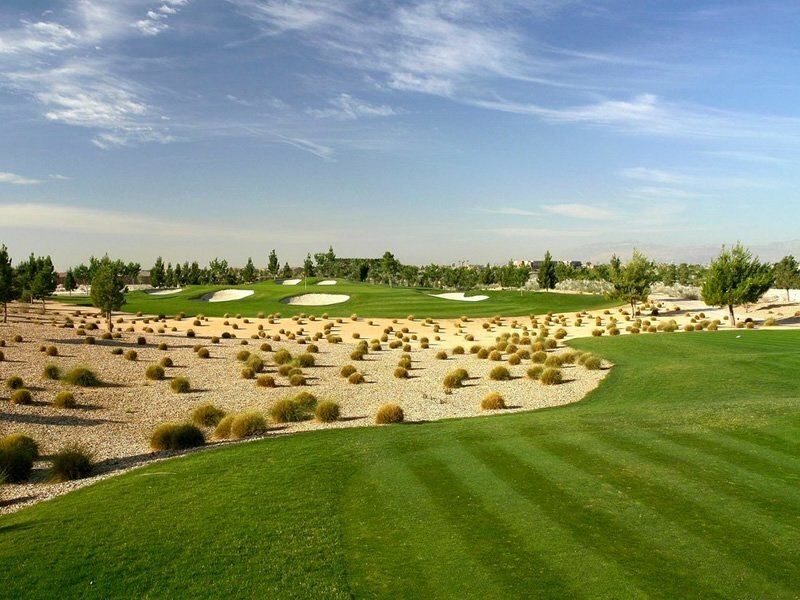 The practice facility features an expansive driving range, and huge putting green and chipping greens. 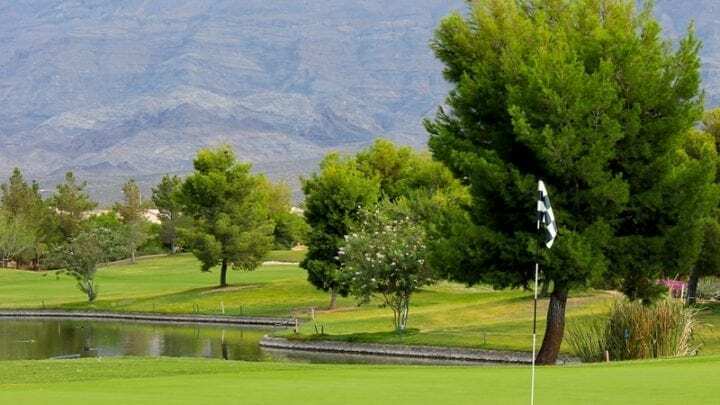 For those who are looking for a demanding course that sets up well for every player and isn’t as demanding on the pocket book as many comparable facilities, Aliante Golf Club is a smart choice for you next golf vacation, group outing, or leisure golf round. 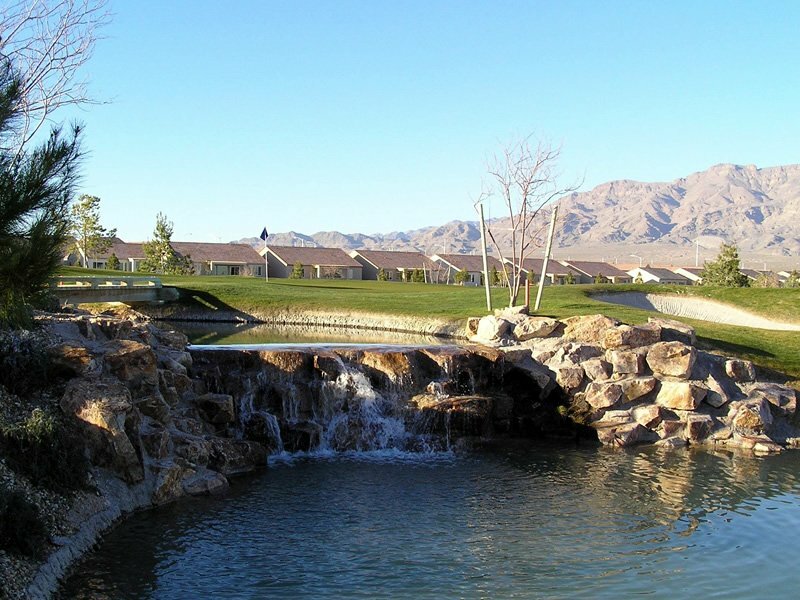 Aliante Golf Club is about 20 - 25 minutes from the Las Vegas Strip. 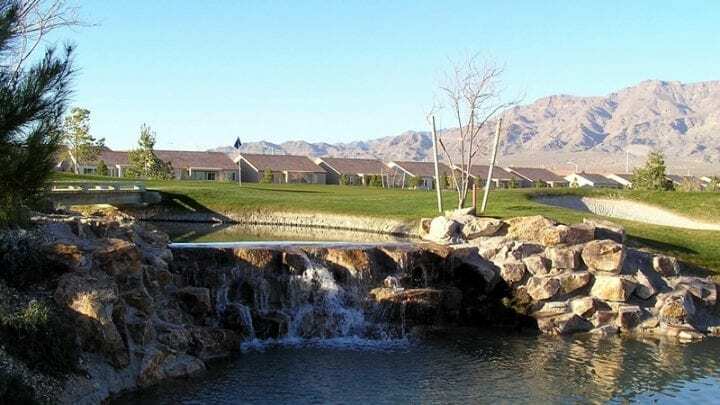 The course also boasts of an inviting clubhouse that features a well-appointed golf shop, grille, bar, and an event patio with views of the golf course and surrounding mountain landscape. 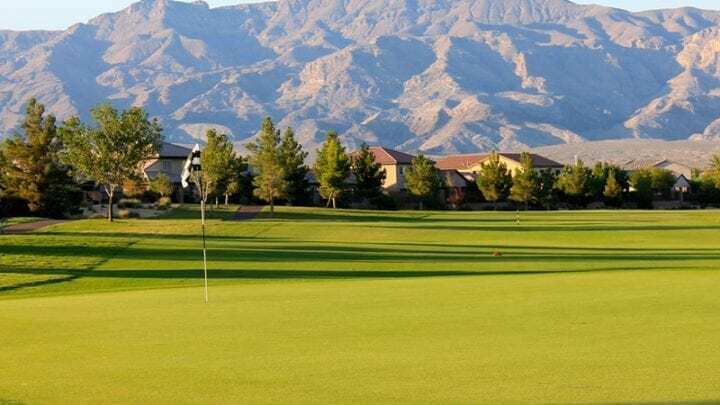 The greens are Bermuda 419 (overseeded in winter with Poa Trivialis) running in the 6,000 square-foot range with moderate to severe undulations. 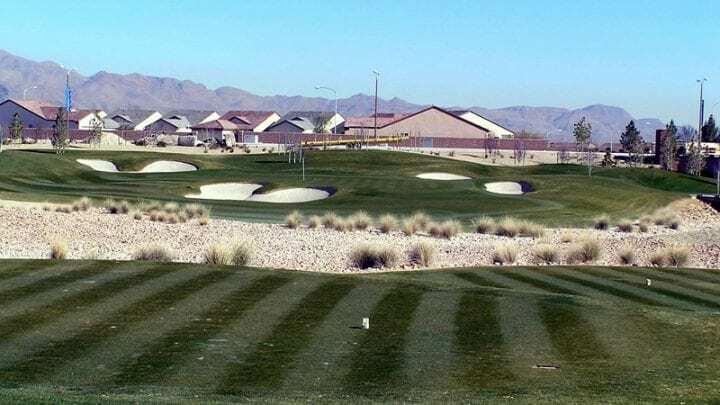 The rest of the course is growing plush Bermuda 419 from tee to green (overseeded in the winter with Ryegrass). 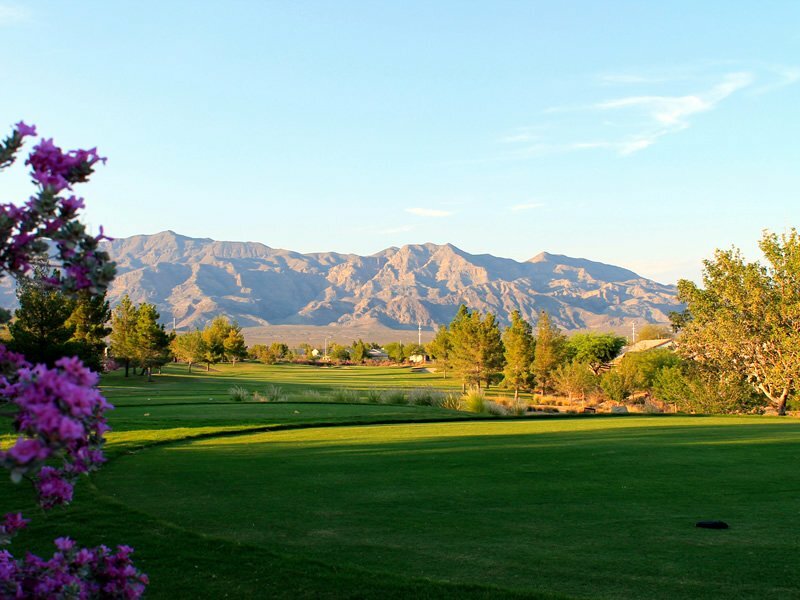 You will enjoy your day of golf at the Aliante Golf Club!